Rip completed his FC in 2013 by winning 2 All Breed Open Stakes within a month. He completed his AFC in 2017. He has earned 38.5 All Age Points and won 4 opens. Two of those while being handled by Cam. Rip is a very consistent performer, his career open finish rate is 36%. I you want to play on Sunday, Rip is the dog to get you there! 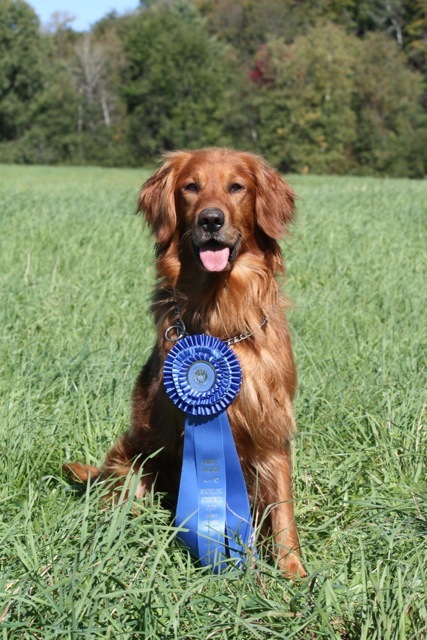 Rip has qualified and run in the 2013 and 2017 National Retriever Championships. 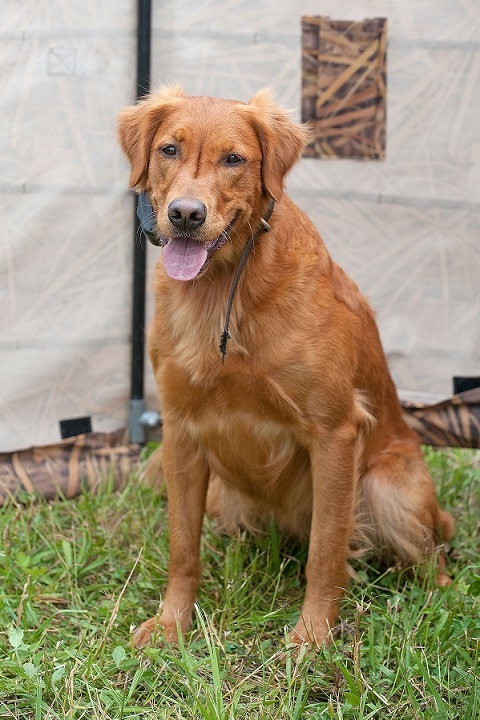 He has qualitfied in the 2016 and 2018 National Amatuer Retriever Championship and ran the 2016 NARC. Rip has a wonderful personality and is good with all the males on Rick's truck as well as with people and kids. He is a house dog when home. He is a joy to have around. He is also very handsome and has a rich dark gold flat coat with no white. PI is one of two puppies from my litter of Have Dog Duso Travel SH/QA2 (Yoda) to Ambertrails Life Of Riley ***. They were born on international Pi day! They were Cutie Pi and Sweetie Pi. Tragically Sweetie Pi died at about 3 1/2 months of age. As a result, Dave, Donna and I co-own Cutie Pi. She is trained and handled by Dave Williams and a full time spoiled rotten house dog. She is currently running All Age Stakes. Pi earned her QAA by 2.6 years of age. She is a very stylish retriever and an excellent marker. Pi is 60lbs of pure muscle. The price of the Pi x Rip puppies is $2500 for AKC Full Registration. ALL Pups are being sold with Full Registration. We would like these pups in Competition, Working homes, since it is a special breeding.